*There are few markets tougher than NEW YORK‘s Long Island to make a successful run as a mainstream class A commercial FM station. The geography’s all wrong, for one thing – you just can’t cover very much of an island that’s long and narrow with a 6 kW (or less) signal that goes out in a circle with barely a 20-mile usable radius, and that’s not even taking account of the massive short-spacing and summertime tropo ducting that can rip a signal to shreds much closer to the tower. And then there’s the little matter of the nation’s largest and most aggressive radio market just to the west, not only spraying strong signals over western Long Island but actively targeting Nassau and Suffolk counties, which are, after all, embedded in the larger New York City market. *Translator news from the state’s southwestern corner: Chadwick Bay Broadcasting is paying Family Life Ministries $20,000 for W236BJ (95.1 Dunkirk); the translator is redundant now that Family Life has put big-signal WCOM (89.3 Silver Creek) on the air, and Chadwick Bay needs it to provide an FM home for oldies WDOE (1410). And one bit of “we’ve been remiss in not noting” news from Long Island: WLIX-LP (94.7 Ridge) flipped just before Labor Day from religion to “The Penthouse.” That’s the standards format developed first as a streaming service by Bob Perry, who also gave us the first streaming incarnation of “Jack FM” all those years ago. 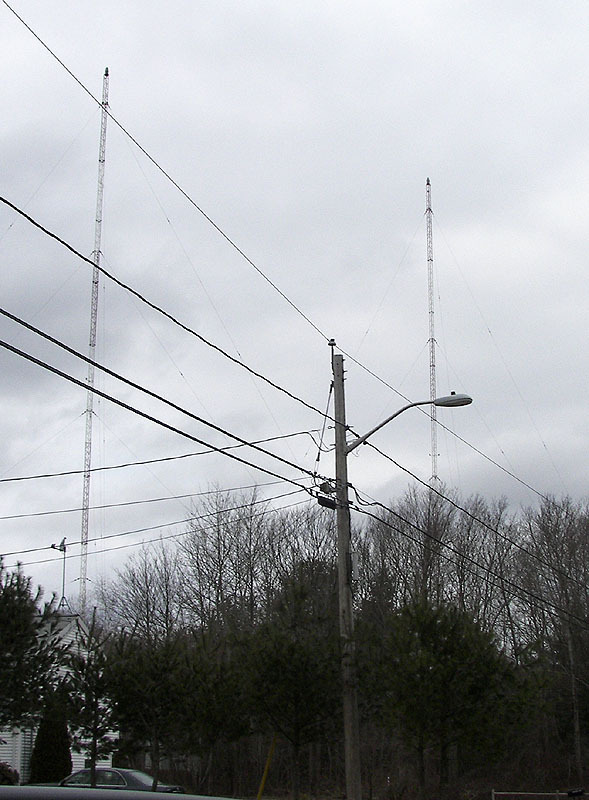 The LPFM was the birthplace of the “WLIX Voice of Hope” Christian network that now makes its primary home at WLIR (107.1 Hampton Bays) along with a network of five translators extending its coverage westward down the island. Calvary Chapel of Russell is in buying mode at the other end of the state: it’s paying Inspiration Time, Inc. (WCTL in the Erie market) $75,000 for WYVL (88.5 Youngsville) and translator W264AT (100.7 Warren) and will flip them to a simulcast of its WTWT (90.5 Bradford). Calvary is also buying a Jamestown translator, W254AQ (98.7), for which it’s paying $100. The news out of Pittsburgh is a station sale that’s not happening: the McKeesport Daily News‘ Pat Cloonan ran down a report that veteran Steel City DJ Terry Lee was getting ready to pay $75,000 for WLFP (1550 Reserve Township); Cloonan talked to WLFP owner Michael Metter, who derided his own little daytime AM signal as a “cockamamie station” and suggested that “if anyone wants to buy it, they can buy it,” presumably for less than his original $225,000 asking price. *The breakup of MAINE‘s commercial classical network began on Thursday afternoon, as Mainestream Media took over WBQW (104.7 Kennebunkport) from bankrupt Nassau Communications, which had been using the signal as the southernmost link in its “W-Bach” chain. 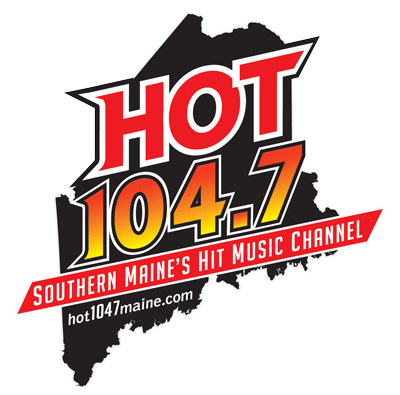 After a classy farewell from “W-Bach,” Mainestream took over at 5 PM as “Christmas 104.7,” stunting for a day before Friday afternoon’s launch of its permanent new format on the signal. As we’d suspected, “Hot 104.7” picks up much of the DNA of the former WRED (95.9 Saco), playing rhythmic top-40 with Ryan Dillon as PD. The new station is playing 5,000 commercial-free songs before launching with an airstaff that’s yet to be announced. *While we’re Down East, we send congratulations to Joe McMillan, who picks up mornings on WRMO (93.7 Milbridge), beginning today. *In MASSACHUSETTS, there’s a new programmer with a familiar name at CBS Radio’s new “AMP 103.3” (WODS) in Boston. Dan Mason, Jr. went to school at Boston’s Emerson College, and he made his name in recent years launching Clear Channel’s “Kiss” (WAKS) in Cleveland and programming Entercom’s KDND (107.9 the End) in Sacramento. Now he’s bringing his top-40 chops to “AMP,” where his boss (market manager Mark Hannon) ultimately reports to another Dan Mason, CBS Radio head honcho Dan Mason, Senior. *Program director Kwame “KD” Dankwa is moving on from VERMONT, a year and a half after arriving at Pamal’s WZRT (97.1 Rutland). Where’s he headed? A bigger market, we hear…and we’ll know more soon. *In CONNECTICUT, Stan Priest is moving on from Clear Channel’s WKSS (95.7 Hartford) and WKCI (101.3 Hamden/New Haven); he’s on his way to Philadelphia in a few weeks to take Tim Herbster’s old PD job at WIOQ (102.1). CHRC (800) is the provincial capital’s oldest radio station, tracing its history back to 1926, but as listeners have moved to FM, the AM station has struggled for survival in recent years. Corus operated it as “Info 800,” a sister to its now-defunct CINF (690 Montreal), before announcing its own plans to walk away from the license in 2007. 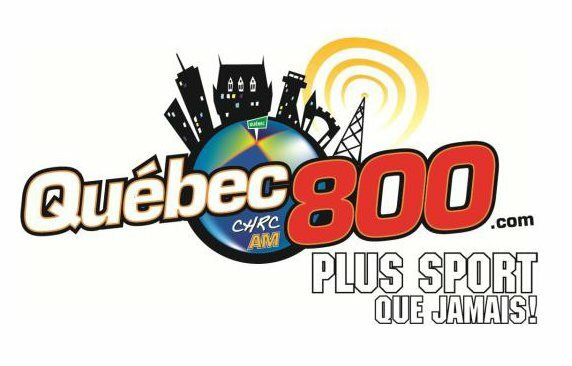 The Remparts minor-league hockey team stepped in to rescue the station, but rumors had been growing in the last few weeks that the money-losing signal was on its last legs, and Friday brought the official announcement that “Quebec 800” will fall silent at some point in the next few weeks. The move puts 15 people out of work and will send Remparts broadcasts over to CJMF (93.3) on the FM dial. *Which brings us to the CRTC’s other big news last week: the lone open space on the Toronto FM dial, 88.1, drew 23 applicants after the license for Ryerson University-affiliated CKLN was revoked, and the big winner turned out to be Doug Bingley’s Barrie-based Rock 95 Broadcasting. Rock 95, which owns Barrie’s CFJB (95.7) and CKMB (107.5), will commit just over C$2 million over seven years to Canadian content development – and we get spared a “phase two” of speculation that might have followed if the CRTC had instead granted 88.1 to any of several applicants seeking to upgrade their existing facilities, including Evanov’s “Pride Radio” CIRR (103.9) and Fitzroy Gordon’s CKFG (98.7). And of course there’s Ryerson University, which put together an application for a new 88.1 facility to replace the revoked CKLN. The new “Indie 88.1” will have to be on the air by September 2014 or seek an extension; given Rock 95’s already-extensive development of the format, which is streaming in a prototype version on a fairly comprehensive website, and the existence of the former CKLN transmitter facility on First Canadian Place, it’s entirely possible it could launch much sooner. *The CRTC’s flood of decisions also brought good news (and some bad, too) to other southern Ontario applicants: its 88.1 decision also disposed of proposals for two lower-power AM ethnic signals, a daytime-only 1190 in Brampton and a split-frequency signal in Markham that would have used 1480 by day and 1490 at night. Applicant Bhupinder Bola did win approval for a new ethnic FM signal in Markham, on 105.9 with 1600 watts (max DA)/618 watts (average). And the fast-growing My Broadcasting won approval for another link in its chain of small-town community AC signals around Ontario: it will operate on 92.1 from Alliston, north of Toronto, with 3.75 kW (max DA)/2 kW (average)/30 m.
In Ottawa, Fiston Kalambay has applied for a new French-language Christian station on 92.7, running 51 watts/23.5 meters. The proposed “Vie Nouvelle Radio” would be mutually exclusive to Evanov’s 92.5 application in Clarence-Rockland to the east, and so it will be considered as part of the CRTC’s review of that application and another mutually-exclusive 92.5, the power upgrade of CKBE Montreal. And in London, Rogers won CRTC approval for a power boost at CHST (102.3 Bob FM): it will go from its present 12.1 kW (max DA)/5.9 kW (average) to 100 kW (max DA)/20 kW (average) from its existing spot on the CFPL-TV (Channel 10) tower. 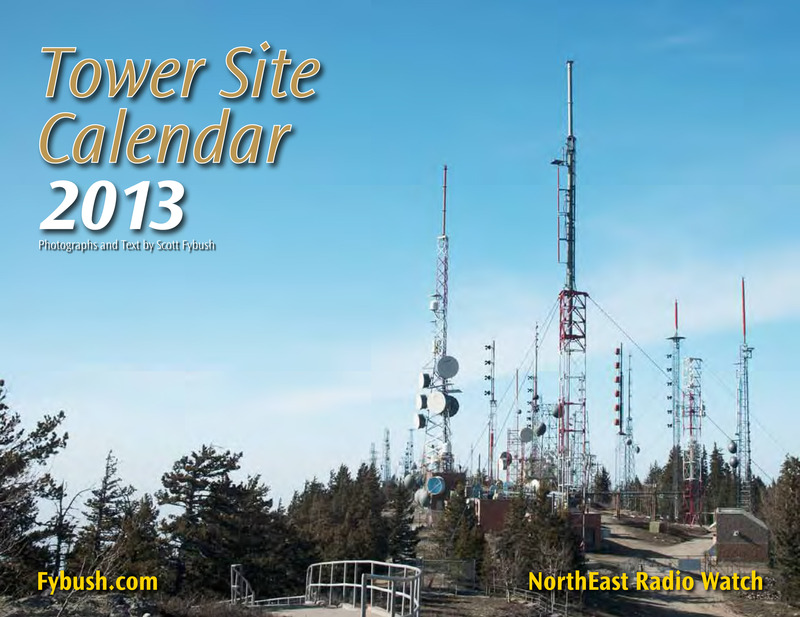 *You can be one of the first readers to own the 2013 Tower Site Calendar! *For many years now, one of the more challenging bits about being an editor of a radio industry trade publication has been trying to keep the holdings of the various “C companies” all straight. With Clear Channel, CBS Radio, Citadel and Cumulus all very active players across the region, it was always just a little bit too easy to inadvertently label a Cumulus cluster as “Citadel” or vice versa. We won’t be worrying about that anymore: as of late last week, the FCC has signed off on the Cumulus acquisition of Citadel Broadcasting – and within hours, the Atlanta-based Cumulus had taken over at the former Citadel stations, complete with new IDs on the air and new e-mail addresses for the staff. What we didn’t realize last week was just how fast those changes would take place. On Friday morning at 6, WTPA moved down the dial to 92.1, while “Hot 92” moved up the dial (and a little closer to the core of the Harrisburg market) to WTPA’s old spot at 93.5 on the dial. At least for now, that’s the extent of the changes: both WTPA and WWKL keep their existing airstaffs, and for the moment they’re both in their existing north Harrisburg studios, which will become the home base of the combined Cumulus cluster in the next few months as WQXA-FM (105.7) and WMHX (106.7) move over from their present home in Camp Hill. *It’s birthday time for the oldest surviving radio station in MASSACHUSETTS: WBZ (1030 Boston) turns 90 on Monday, and there’s no shortage of celebrations, both on and off the air. Steve LeVeille’s overnight talk show is devoting two nights to radio history: on Monday night (Tuesday morning) at midnight, beloved Boston radio historian Donna Halper (PhD!) will be Steve’s guest – and if you’re reading this week’s column early enough, tune in Sunday night/Monday morning at midnight to hear yours truly on the air with Steve. On Monday night at 8, a special hour of “Nightside with Dan Rea” will be devoted to WBZ’s history as well, with a guest list that includes current morning man Joe Mathieu and his longtime predecessor, Gary LaPierre. *For many years now, observant radio folks have puzzled over CONNECTICUTPublic Radio’s penchant for identifying its network as “WNPR” when those calls were assigned not to its flagship station, WPKT (90.5 Meriden-Hartford) but to its Norwich-based signal on 89.1. *RHODE ISLAND‘s NBC affiliate has a new general manager, and he’s a familiar face to upstate New York TV viewers. Vic Vetters comes to Media General’s WJAR (Channel 10) in Providence from Smith Broadcasting, where he’s been serving as general manager of WFFF/WVNY in Burlington, VERMONT and WKTV in Utica – and it’s from WKTV that Vetters is best known, having spent much of his career there as lead news anchor and news director before rising into upper management. At WJAR, Vetters replaces Lisa Churchville, who retired in June after a career at Channel 10 that dates back to the Outlet Broadcasting days. *It’s reunion and awards season all across upstate New York – and the fun kicked off here in Rochester Saturday night with the first-ever Rochester Radio Reunion, which drew more than 150 veterans of the Flower City radio and TV dials. WHAM-TV (Channel 13) anchor Don Alhart emceed the event, which was organized by veteran broadcasters Larry White, Dan Guilfoyle, Pat Grover, Orest Hrywnak and John Gubiotti. Rochester radio alumni from at least ten states came in for the event, including former WSAY/WBBF jock Dave Mason (in from San Diego), WKLX PD Cary Pall (in from Cincinnati), Rich “Albert” Petschke (now in Washington State) and many more. *The radio dial in eastern PENNSYLVANIA was spinning like crazy last week – and nowhere more so than at CBS Radio’s WYSP (94.1 Philadelphia), where most of the remaining remnants of the failed “Free FM” talk experiment were wiped away on Thursday afternoon, replaced with a return to the rock format that has long defined the station. The move back to rock came abruptly, with the first rumors reaching print on Tuesday morning, followed quickly by talk of “being fired” by late-morning host Paul Barsky, who’s actually apparently still at the station in an off-air capacity. The revived rock format will continue to include the New York-based Opie & Anthony morning show, as well as Kidd Chris in afternoons (though without two of his producer/sidekicks, Brad Maybe and Monkeyboy, who are also out of work), with a new jock lineup to be announced soon. 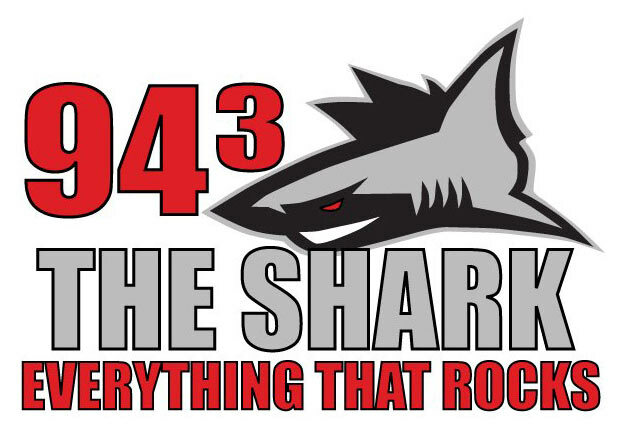 The move gives Philadelphia no fewer than four rock stations – WYSP, Greater Media’s WMMR (93.3), Clear Channel’s modern-leaning WRFF (104.5) and Greater Media’s classic rock WMGK (102.9) – which may be explainable, at least in part, by the switch to the Arbitron people-meter and the renewed ability to measure young male listenership. *We’ll start our NEW YORK news, such as it is, on Long Island, where the sale of three Morey Organization stations has apparently fallen through. Michael Metter’s Connecticut-based BusinessTalkRadio.net was to have paid $5 million for WBZB (98.5 Bridgehampton), WDRE (105.3 Calverton-Roanoke) and WLIR (107.1 Hampton Bays), but the deal didn’t close. Within a day or two, WOR had been joined by WABC (770), WFAN (660), WCBS (880), as well as Hartford’s WTIC (1080), Schenectady’s WGY (810), Philadelphia’s WPHT (1210) and Boston’s WBZ (1030), WMKI (1260) and WXKS (1430 Everett) in running digital after dark. Will stations like WYSL (1040 Avon) in the Rochester area experience the interference they’ve been fearing? Will HD supporters like WOR find that they’re getting the coverage they’re hoping for? Will cheaper, more sensitive radios ever appear on the market? We’ll be following the saga as it develops. In Binghamton, commercial radio opponent William Huston has lost his bid to deny license renewals to Clear Channel’s six-station cluster. The FCC last week dismissed the petition Huston filed last year against the stations, in part because it was filed two days late, and in part because it says any question about whether that level of ownership is excessive should be handled within the Commission’s ongoing inquiry into ownership consolidation, not in individual license-renewal proceedings. In Elmira, Brian Thompson has left the morning show at WPGI (100.9 Horseheads), where he was also program director. No replacement has been named yet. And in Geneva, Aaron Read is the new general manager of Hobart and William Smith’s WEOS (89.7). He comes from Boston, where he was a contract engineer for several stations and an audio engineer for the public radio show “The Infinite Mind,” and he replaces Mike Black, who’s now with WXXI in Rochester. *There’s a fight brewing in CANADA‘s largest market between the CBC and a small broadcaster hoping to serve the city’s Caribbean communities. The Caribbean and African Radio Network (CARN) won a license from the CRTC last year, but it was denied the use of its desired frequency, 98.7. With no other space open on the Toronto FM dial, CARN is trying to put public pressure on regulators to reconsider that decision. That’s where the CBC comes in, since it’s the network’s Radio One transmitter, CBLA (99.1 Toronto), that’s concerned about interference from second-adjacent 98.7. The CBC says it has sound engineering studies to prove that it can’t coexist with a low-power 98.7 signal, but CARN says its plans to co-locate with the CBLA transmitter, atop the First Canadian Place tower in downtown Toronto, would alleviate that interference. There’s a new TV station on the air in CANADA – albeit with some familiar faces and programming. Rogers launched “OMNI.2” on Monday morning (Sept. 16) at 6, broadcasting to Toronto on channel 44 with 179 kW visual. Industry Canada (which regulates the technical aspects of Canadian broadcasting) doesn’t have a callsign listed for the station as of Tuesday; it’s shown as operating from a site north and west of downtown Toronto, not the CN Tower where the rest of the city’s TV stations are located. “OMNI.2” is a sister station to Rogers’ established CFMT (Channel 47), which will eventually be rebranded OMNI.1, keeping the European, Latino and Caribbean portions of its multiethnic programming, as well as its English-language lineup, including David Letterman. That leaves OMNI.2 to pick up the African and Asian-language programming that had been seen on CFMT, including an English-language newscast at 8 PM, followed by “OMNI News” in Cantonese. The new service had cable carriage from the start (which is only fitting, since it’s co-owned with Rogers Cable), as far afield as London and Barrie. In most areas around Toronto, OMNI.2 is seen on Rogers channel 14, displacing Buffalo’s WKBW-TV to channel 18. That, in turn, sends PBS outlet WNED-TV (which IDs as “Buffalo/Toronto”) way up the cable dial from 18 to 61. We’ll start the US side of things in MASSACHUSETTS, where the big changes are taking place at Greater Media’s WROR-FM (105.7 Framingham). The station is moving from 60s and 70s oldies towards classic rock, and it’s doing so in a big way: beginning this Friday and continuing all weekend, WROR will turn over its airwaves to a “Who’s Who” of Boston rock radio history. Among the jocks to be heard on the reunion weekend: Peter Wolf (who made his name on WBCN before the J. Geils Band ever hit the charts), Charles Laquidara, Ken Shelton, George Taylor Morris, Maxanne Sartori, Harvey Wharfield, Jeff Gonzer, Annalisa, J.J. Jackson and Tom “Tai” Irwin. And when WROR returns to its usual lineup the next Monday, several familiar voices will be missing, including middayer Stella Mars and night guy J.J. Wright. J.J.’s already landed elsewhere; he’s been heard this week doing fill-ins at WODS (103.3). Boston will be the one Northeast market where the combined CBS/ARS will have to shed stations. CBS already owns news/talk WBZ (1030), classic rock WZLX (100.7), oldies WODS (103.3), and modern rock WBCN (104.1). ARS has talker WRKO (680), sports WEEI (850), WNFT (1150, currently simulcasting WAAF), Worcester sports-talker WWTM (1440), 70s rock WEGQ (93.7 Lawrence), modern AC WBMX (98.5), and hard rock WAAF (107.3 Worcester). Both companies were already near the limit for station ownership in Boston; it will be interesting to see what gets shed. NERW suspects WNFT, WEGQ, and WAAF will be the first to get spun; likewise it’s a near-certainty that CBS will hang onto clear-channel WBZ, sports-rights-heavy WEEI, and FM powerhouses WBMX, WODS, and WBCN. We’ll keep you posted. It’s a sad week for local radio listeners along Long Island Sound, with two of the area’s AM stations shutting down within days of each other. We’ll begin on the NEW YORK side of the line, where the story of WVIP (1310) in Mount Kisco came to a close Saturday night. As we reported last week, WVIP’s historic round studio burned to the ground, prompting an outpouring of assistance from area engineers and from the Westchester community. As soon as WVIP was back on the air from a temporary studio, listeners and advertisers began showing up at the trailer with food, supplies, and entertainment, while WVIP’s air staff cranked out local programming through an old Radio Shack mixer. It all came to an end on Saturday, though, with a phone call from the hospital bed of owner Martin Stone. Unwilling to keep losing money on the station, Stone ordered WVIP off the air at the end of the broadcast day, and after a farewell speech by phone from the hospital, WVIP broadcast a tape of its first broadcast, 40 years ago next month, and signed off, apparently for good. The WVIP license has not been returned to the FCC, and it’s possible someone may buy the license and put 1310 back on the air, but it won’t be Martin Stone. NERW salutes the WVIP staffers and volunteers who tried to keep the station alive; we hope someone finds a way to pull it off in the end. Also silent is the 1260 frequency in nearby Westport, CONNECTICUT. After years of struggling as a stand-alone AM, owner Mark Graham announced late last week that he’s donating WMMM’s license and transmitter to Sacred Heart University. WMMM’s final broadcast came Monday morning, complete with a phone call from Chile from weekend DJ Jose Feliciano (of “Light My Fire” fame). After an emotional farewell from Graham, WMMM played “My Way” and left the airwaves. Sacred Heart will return 1260 to the airwaves around Thanksgiving, programmed by its existing WSHU (91.1 Fairfield)/WSUF (89.9 Noyock, N.Y.) public radio operation, and likely with news-talk programming similar to WSUF. Say goodbye to “Talk 94.9” on the Cape…and hello to “Talk 95.1.” West Yarmouth’s WXTK fired up this morning on its new frequency of 95.1, getting out from the shadow of Mount Washington’s giant WHOM, and giving the latter an incredible signal all the way down into Boston once again. Further down the Cape, the construction permit for Truro’s WCDJ (102.3) has been extended yet again; there’s still no sign that Karl Nurse’s station will actually be built any time soon. There is a Public Notice in today’s (Sept.17) Bangor Daily News of the upcoming sale of WBQI to Blueberry. Copy of application availble at their Ellsworth studios.